Our favourite antique shop in Rye is slightly off the main shopping drag, so it’s worth shouting about here. 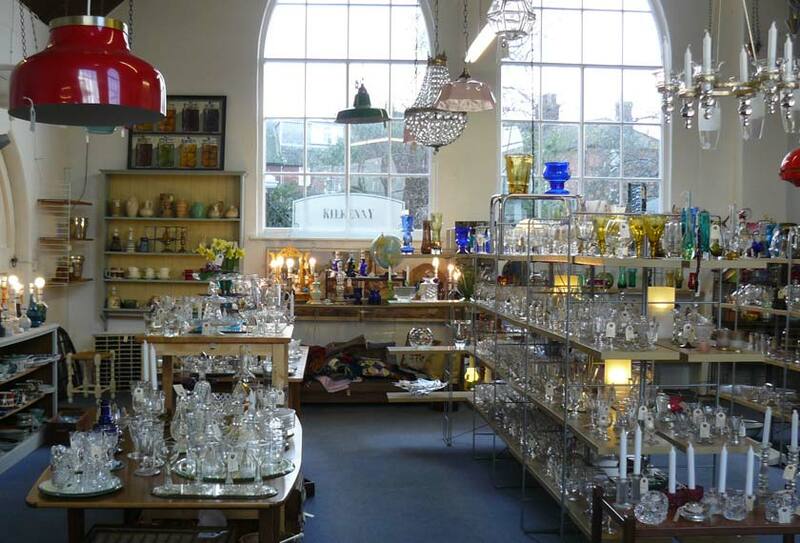 Owned by Antiques Roadshow’s glass expert Andy McConnell, it sells lots of glass, as you might expect (mostly 20th century, with some excellent Scandinavian art glass and mid-century lighting) plus kitchenalia, ironmongery, textiles and more. They brilliantly tap into current interiors trends here – there was seventies-luxe gold ceramic lighting and a white peacock cane chair on one visit, very current. The icing on the cake is the reasonable prices.